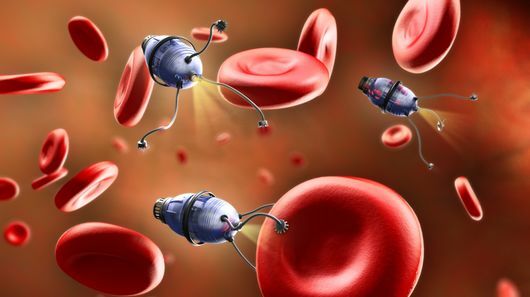 When it comes to medical field, nanorobots are the future. Why? Because they are capable of delivering a precise and accurate delivery of medical payloads, thus reducing the side effects and negating the need for any invasive procedure. However, scientists are still working on ways when it comes to their navigation within body’s fluids. A new technique has been introduced that allows them to swim swiftly through the fluids such as blood to make it to their destined target area. Although it is still a developing field, nanoparticles are becoming a prodigy capable of dealing with a number of issues such as infections, type 1 diabetes, cancer and even unblocking blood-brain barrier. The only problem is that they just can’t be inserted into the body and then left alone. They need to be guided towards the target area. A team of scientists from Technion-Israel Institute of Technology and ETH Zurich has reported that they have successfully managed to come up with a new design of nanorobots that are capable of swimming through bodily fluids quite easily. The design speaks of stringing a piece of polymer together with two metal, magnetic nanowires. This assembly would result in a three-piece chain that is as long as a width of a silk fiber. This assembly was then tested in a fluid that was thicker than blood.